Click on the following link to view the updated NIPA Tour Ranking Table after Event 5 which took place in Reds Sports Lounge, Ballymena. Event 6, takes place in the Q.Club, Larne on Sunday 14th October 2018. Remember, to play in Finals Day in Reds on Sunday 9th December players must have played in at least four out of the six available events. 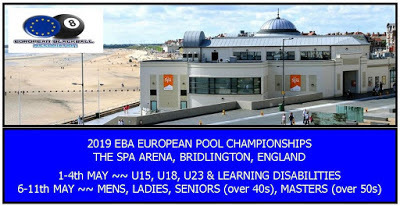 Reserves who meet this criteria can also play in Finals Day if they wish but must make up the difference from what they have paid in entry fees to what it originally cost to enter the Tour plus a £10 registration fee.